Hey, Guys! 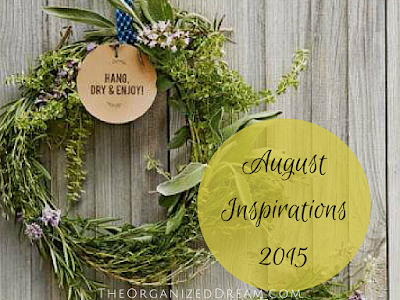 Welcome back for another monthly inspirations post! It's already August and I have some great things to share with you that have inspired me! Let's get right into it, shall we? The first two inspirations come from Family Fun magazine. 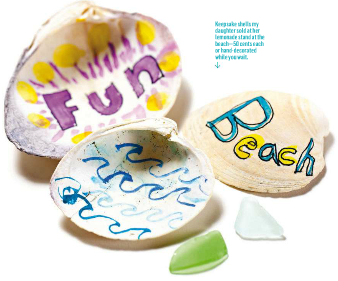 The first is a great idea for a craft to make all of those sea shells found on vacations extra special. The kids will love decorating them and creating a keepsake. 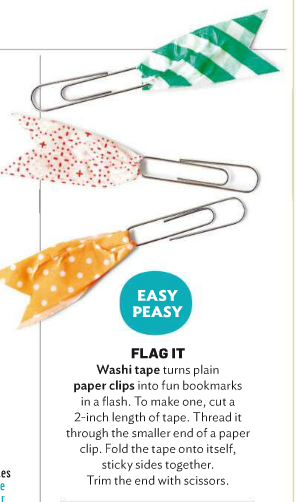 This next craft idea is something that I'm sure we've seen before, but with school right around the corner, these would make great school supplies. These next few pictures are from Family Circle. I love this magazine because they often feature a lot of my style. I can't wait for their Fall issues! 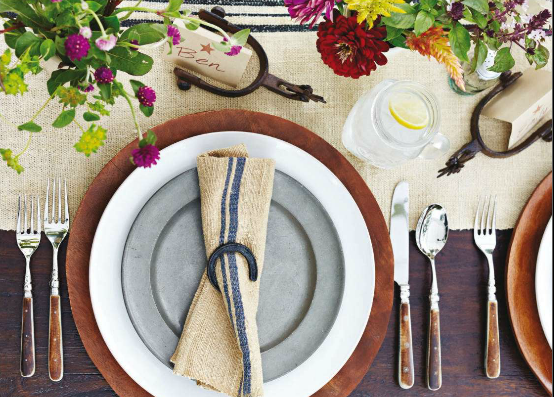 I am simply sharing this place setting because I love the colors, flowers and tableware. This tomato recipe looks absolutely delicious and I NEED to try it! I have always had a love for salads. 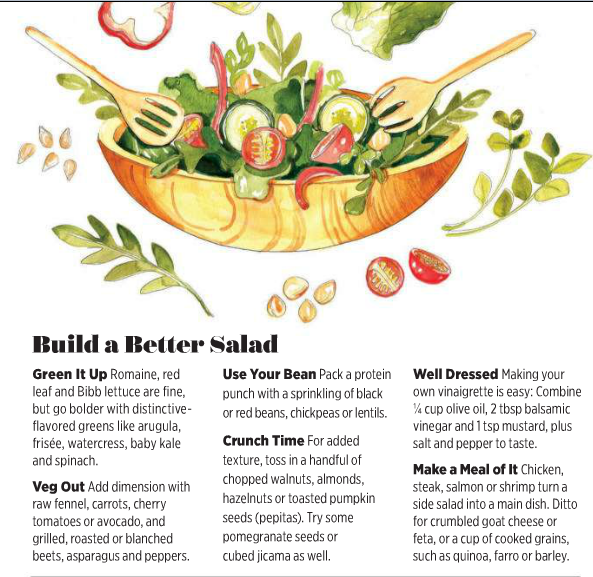 I am eating clean now more than ever and these tips are great! 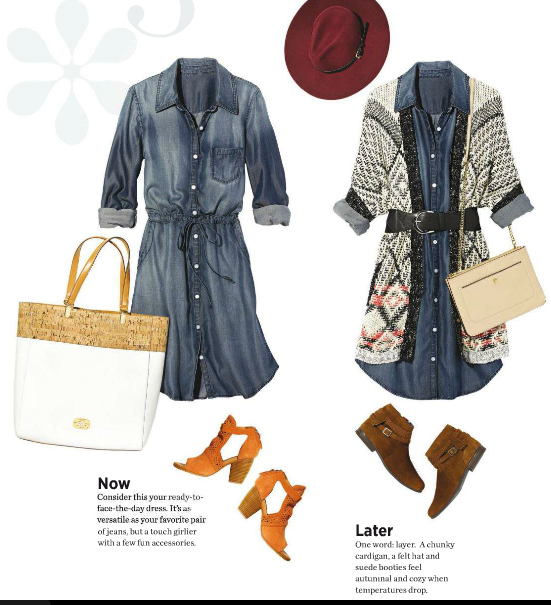 This next inspiration is a great little chambray dress that is styled in two ways. 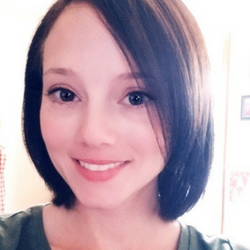 The reason why I love it so much is because it is easy to transition to fall. I love the sweater over it! 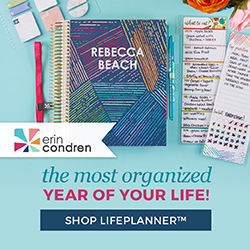 The last on this list come from Better Homes and Gardens. They're just a couple of things I came across that caught my eye so I thought I'd share. 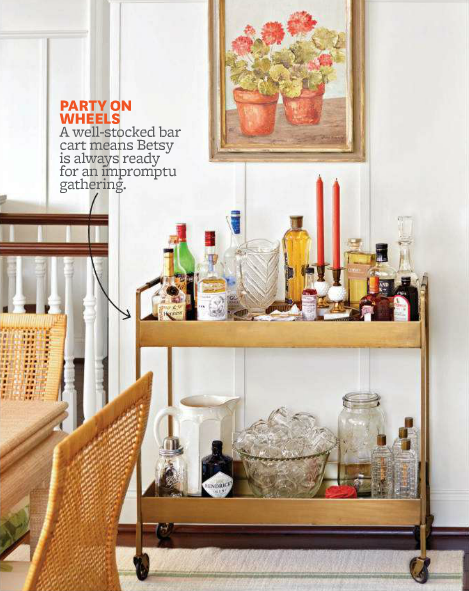 I don't care much for the painting on the wall, but I love this bar cart! 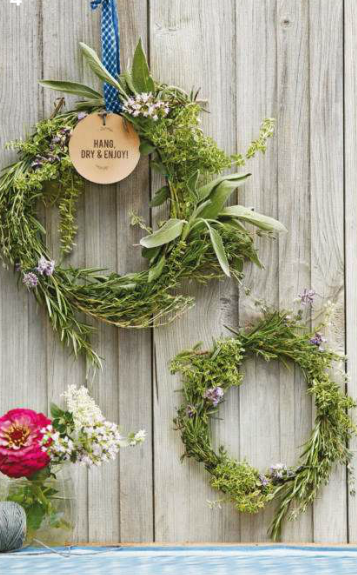 These wreaths are perfect for Summer decor and can be easily displayed anywhere. So pretty! I think I may have to try to make this myself! Reading this actually makes me so excited for August, when I usually dread it! Can't wait to try some of these fun ideas. Glad to have inspired you! Thanks for stopping by! Definitely loads to be inspired by in this post! I am in love with that sweater/dress combo! Thank you for sharing with us at Merry Monday! Hope to see you again this week! 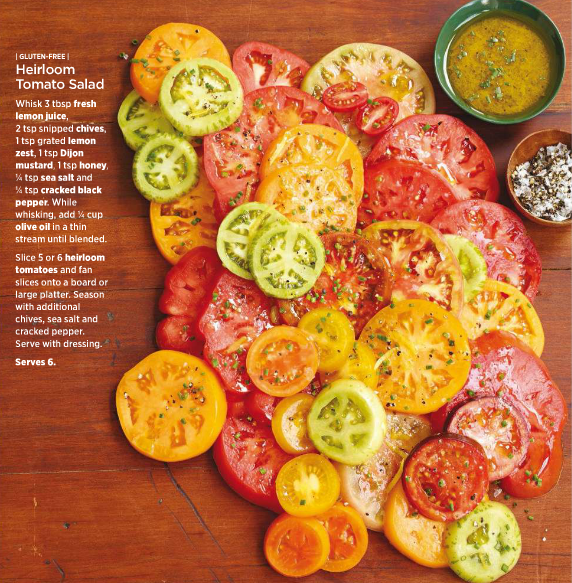 I love the wreaths and the salad as I grow heirloom tomatoes -Thanks Kate for linking up to Pin Worthy Wednesday, I have pinned your post to the Pin Worthy Wednesday Pinterest Board. Love all the ideas. Thanks for sharing them at the Inspiration Spotlight party! Pinned & shared.